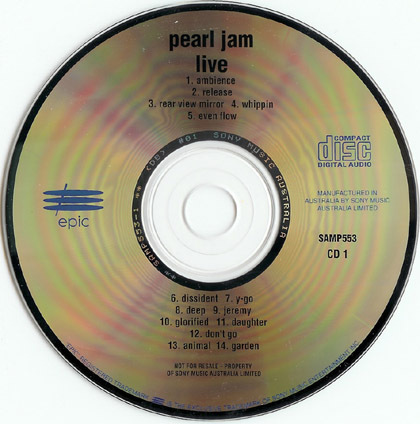 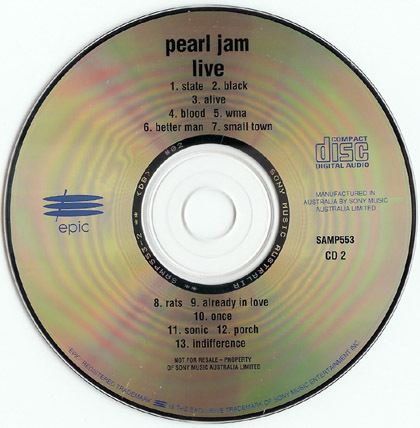 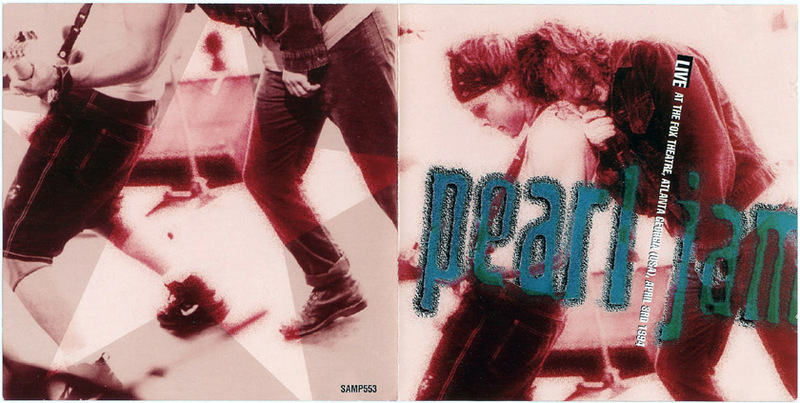 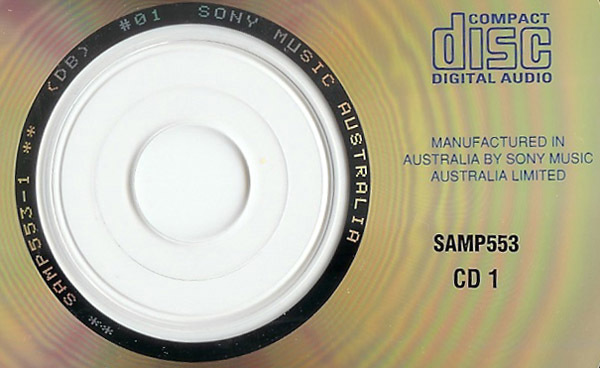 Australian Promotional 2 CD set of the complete and UNEDITED April 3, 1994 show - marking the first authorized plugged-in recording of Pearl Jam performing live. 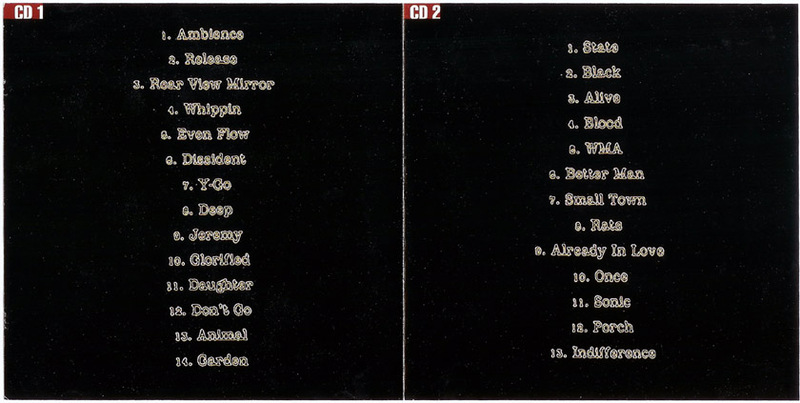 Disc 1 has only 13 tracks - "Ambience" is the intro to "Release" and is not a seperate track#, contains several mis-named songs and altered spellings of songs. 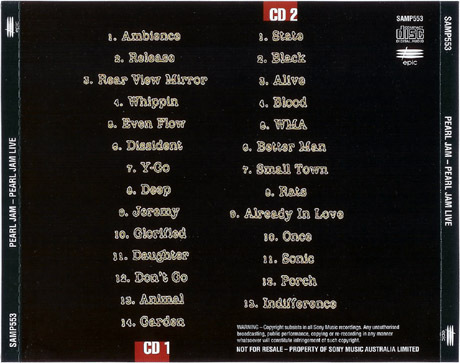 Includes Sonic Reducer and Satan's Bed which were not included on the Dissident 'Live in Atlanta' 3CD box set.